Underlining that India remains 'vulnerable' to terrorism, Home Minister P Chidambaram on Tuesday said new groups are suspected to be behind some terror attacks that took place in recent years. 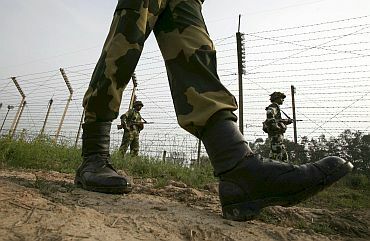 "I must caution you that there is no let up in the attempts to infiltrate into India from across the India- Pakistan border. Besides, there are a number of modules operating within the country and new groups have raised their heads that are suspected to be behind some terrorist attacks that took place in recent years," he said in his address at the 'Meeting of Chief Minister on Internal Security' in New Delhi. The minister said, "We cannot shy away from naming these groups or exposing their designs. 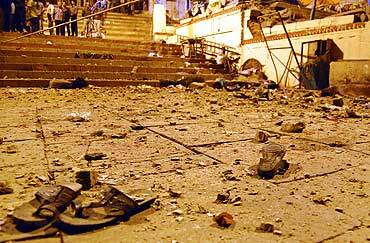 Whatever their religious affiliations, I have no hesitation in condemning every group that resorts to terror as a means of advancing dubious religious causes or fundamentalist goals". "Our policy in this regard is clear -- every terrorist and every terrorist group will be pursued and brought before the law and punished," he said. Chidambaram, however, did not name any of the groups that were suspected to be behind some of the terrorists attacks in the last few years. He said, "The evidence that the National Investigative Agency and the Central Bureau of Investigation are discovering every day should serve as a wake-up call to the new sources of terror that threaten our security." Referring to Naxalism, the home minister said, "Looking back at 2010, my assessment is that there is a kind of a stalemate. The state governments concerned cannot claim any major advance, nor should we conclude that the CPI - Maoist has gained the upper hand. There have been casualties on both sides." 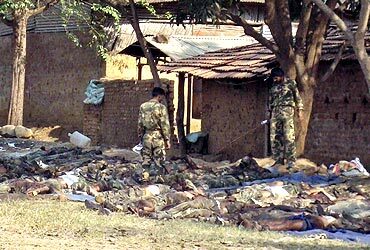 Security forces had received some serious setbacks last year including the loss of 75 CRPF personnel in one single ambush undertaken by the Naxals in Dantewada district of Chhattisgarh. The minister said the CPI - Maoist remains a powerful and determined adversary and has added at least four companies to the People's Liberation Guerrilla Army, the armed wing of the Naxals. Taking an apparent dig at civil activists, Chidambaram said in 2010, left-wing extremists killed 718 civilians, of which 323 were killed after branding them as 'police informers'. "Unlike our security forces, the Naxalite cadres are not constrained by the rule of law or rules of conflict. In areas they dominate they act as judge, jury and executioner," he said. 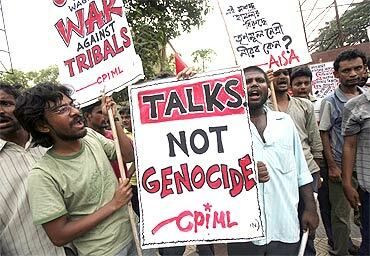 "I regret that no representative of civil society has called for an inquiry into the brutal and unlawful killing of civilians and other acts of depredation committed by the CPI - Maoist," he said. 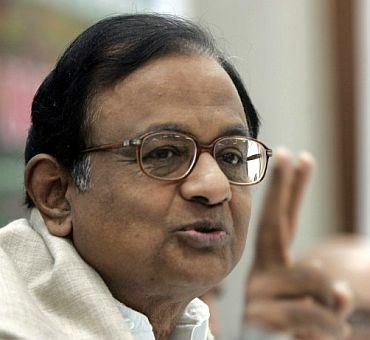 Chidambaram said, "The government's offer of talks remains valid on the condition that the CPI - Maoist abjured violence." 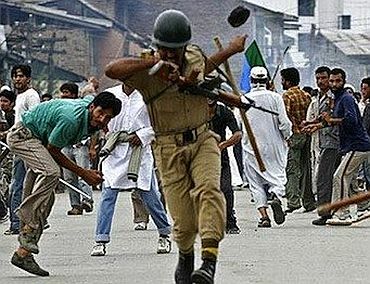 Talking about other issues, the minister said Jammu and Kashmir presents a 'unique challenge'. He said the situation was improving until the beginning of June 2010. "The three-month period of agitation was an unfortunate and deeply regrettable chapter. However, after the visit of the all-party parliamentary delegation and the appointment of interlocutors, there has been a significant improvement." He said the interlocutors have been able to change the discourse. "We have tasked them to outline the contours of a political solution based on the suggestions received by them. My earnest appeal is that nothing should be said or done that will destroy the fragile peace or derail the process of finding a political solution." On the issue of insurgency in northeast, the minister said it gave him 'great satisfaction' to report that there had been a dramatic change in the situation there. He said 2010 witnessed the lowest level of violence in many years. "Barring Assam and Manipur, the other states have shown remarkable improvement," he said. The minister also said he is happy to report that the internal security situation in the country has vastly improved during the last two years. 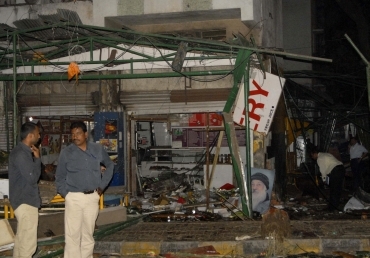 In 2010, there was one major incident in Pune on February 13. There was another incident in Varanasi on December 7 last year that "caused, thankfully little damage," he said. Chidambaram said in both cases, specific intelligence was given to the two state governments. He said it would be unrealistic to expect that intelligence could be any more specific than what was gathered and shared in the two cases. "I am sure you will agree with me that the two incidents of terror in a period of 26 months mark a significant improvement in the situation," he said. Where does 'restraint' end, Mr Chidambaram? Does Mr Chidambaram believe in democracy?